Flux-Cored Arc Welding (FCAW) NC II is one of the kinds of Welding courses offered by TESDA which specializes in welding carbon steel pipes components. You may think that it is similar to other welding courses like shielded metal arc welding but this one uses specific equipment which varies from the other welding equipment. Flux-Cored Arc Welding tools are used in this kind of welding. It merely relies on flux to generate the necessary protection and minimally relies on shielding gas unlike SMAW. Different from other Welding Courses, Flux-Cored Arc Welding (FCAW) is a semi-automatic or automatic arc welding method. Comparing it to SMAW/Shielded Metal Arc Welding and GTAW/Gas Tungsten Arc Welding, FCAW requires lesser skills for operators so you won’t find it hard to execute when you are on the Job. You are given enough choices if you are interested in becoming a welder. We have Gas Metal Arc Welding, Shielded Metal Arc Welding, Gas Tungsten Arc Welding and this, Flux-Cored Arc Welding. The choice is yours. Check out the skills that you may acquire if you choose this course. 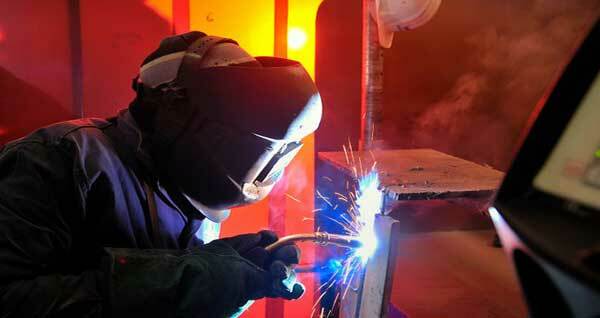 Flux-Cored Arc Welding course can be finished in a minimum span of 268 hours of sessions. Another note to first time takers: Some TESDA-Accredited institutions may oblige you to undergo and finish Flux-Cored Arc Welding NC I first before being permitted to take Flux-Cored Arc Welding NC II. There are different kinds of welding. Flux core welding is one of the best welding processes. Flux core welders are versatile and suitable for a broad range of projects. I am delighted to know that TESDA launching flux core welding courses.